2014 K RENAULT CAPTUR 0.9 DYNAMIQUE MEDIANAV ENERGY TCE S/S 5d 90 BHP IN BLACK WITH ONLY 27000 MILES IN IMMACULATE CONDITION. APPROVED CARS ARE PLEASED TO OFFER THIS RENAULT CAPTUR 0.9 DYNAMIQUE MEDIANAV ENERGY TCE S/S 5 DOOR 90 BHP IN BLACK WITH A GOOD SPEC INCLUDING SAT NAV,CENTRAL LOCKING,AIR CON,CRUISE CONTROL AND MORE WITH A FULL SERVICE HISTORY IN THE BEST COLOUR BLACK AND AT A VERY SENSIBLE PRICE. (PRIVATE PLATE NOT INCLUDED THE CAR WILL GO BACK ON ITS ORIGINAL NUMBER PLATE)PLEASE CALL 01622-871-555 TO ARRANGE YOUR VIEWING TODAY. 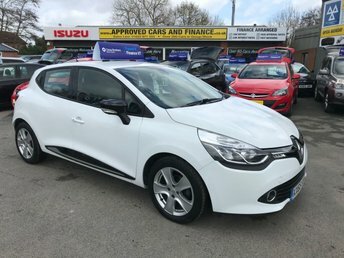 2015 65 RENAULT CLIO 0.9 DYNAMIQUE NAV TCE 5 DOOR 89 BHP IN WHITE WITH 38000 MILES. APPROVED CARS AND FINANCE ARE PLEASE TO OFFER THE RENAULT CLIO 0.9 DYNAMIQUE NAV TCE 5 DOOR 89 BHP IN SUPERB CONDITION INSIDE AND OUT WITH A GREAT SPEC INCLUDING SAT NAV, ABS,POWER STEERING,ELECTRIC WINDOWS,ALLOY WHEELS,BLUETOOTH AND REAR PARKING SENSORS,THE CAR IS A ONE LADY OWNER FROM NEW AND COMES WITH 2 KEYS AND MUCH, MUCH MORE WITH A FULL SERVICE HISTORY WITH 4 STAMPS IN THE SERVICE BOOK.PLEASE CALL 01622-871-555 TO ARRANGE YOUR VIEWING TODAY. 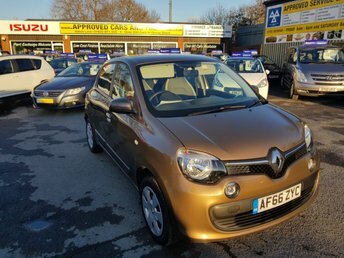 2016 66 RENAULT TWINGO 1.0 PLAY SCE 5 DOOR 70 BHP IN METALLIC BRONZE WITH ONLY 21000 MILES. APPROVED CARS ARE PLEASED TO OFFER THIS RENAULT TWINGO 1.0 PLAY SCE 5 DOOR 70 BHP IN METALLIC BRONZE WITH ONLY 21000 MILES IN GREAT CONDITION INSIDE AND OUT WITH A GOOD SPEC INCLUDING BLUETOOTH,ELECTRIC WINDOWS,CRUISE CONTROL,POWER STEERING,CD PLAYER AND MUCH MORE WITH A FULL SERVICE HISTORY AND DEMO PLUS ONE PRIVATE OWNER. 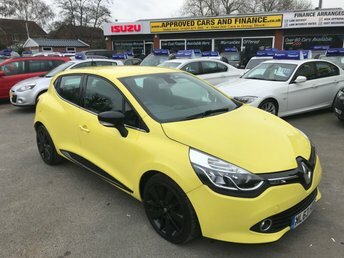 Save money on a used Renault car in East Peckham by speaking to the team at Approved Cars Ltd (Approved Cars Izusu) today. We're the area's leading supplier of quality pre-owned vehicles and we'll always go the extra mile to ensure our customers find the right model to suit their needs. Inject some fun into your daily commute with the help of a used Renault Clio, or turn to a Renault Grand Scenic if space and refinement are your two main concerns. You'll find our complete range of used Renault cars listed here on the website, but be sure to contact a member of the showroom team if you'd like more information. Booking a test drive is easy ? just contact us today.